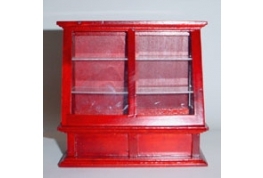 In this sale area you will find a range of Dolls House miniatures on offer at lower than previously advertised prices. 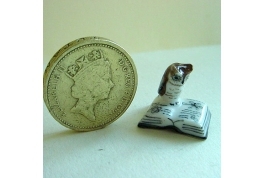 We will be adding more reduced priced miniatures over the coming weeks to make way for new items. 1:12 Scale Cricket Bat, priced to clear. 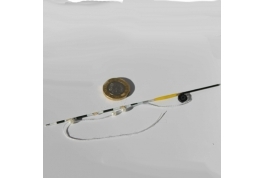 1:12 Scale Fishing Rod, priced to clear. 1:12 Scale Dollhouse Kitchen Range with opening doors and pull out drawers. From our budget range, priced to clear. 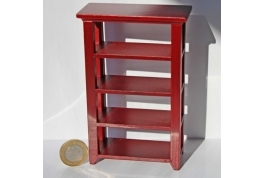 1:12 Scale Mahogany Effect Fire Surround A Nice Solid Piece Of Dollhouse furniture. Could Be Painted With Acrylics. Priced To Clear. 1:12 Scale Mahogany Effect Mirror With Opening Drawer,. We have a limited number in stock, priced to clear. 1:12 Scale Walnut Effect Shelves. We have a limited number in stock, priced to clear. Delightful China Grapefruit Juicer With Removable Lid Blue And White pattern. Reduced to clear. Delightful China Grapefruit Juicer With Removable Lid Floral pattern. Reduced to clear. Excellent Dollhouse China Limbed Baby Doll In Christening Dress. 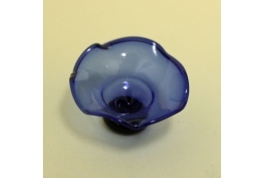 12th Scale Blue Glass Pedestal Bowl With A Fluted Edge. 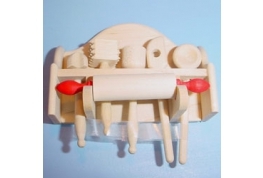 The Finest Detailed Bodo Hennig Wall Mounted Utensil Set Comprising Of Rolling Pin, Meat Tenderiser And Wooden Spoons. Delightful 1:12 Scale Bodo Hennig Wash Stand Set Complete with Wash Bowl, Water Jug, Towel and stand. Old Stock Reduced to clear. 12th scale bran flakes packet suitable for many different settings. 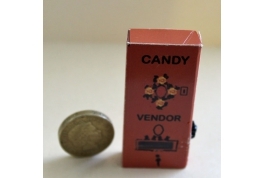 12th Scale Sweet Candy Vending Machine Ideal For Miniature Pub Or On The Outside Wall Of A Miniature Shop. 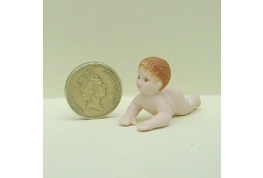 Superb 12th Scale China Crawling Baby Doll. A Delightful Baby Ideal For Dressing Or Leave Naked For Bath Time. 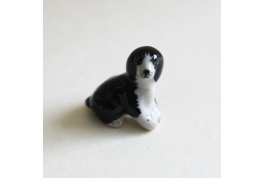 A Delightful 12th Scale China Dog Ornament. A Superb 12th Scale China Owl Sitting On An Open Book. A Delightful Miniature For A Harry Potter Setting. 12th Scale White China Punch Bowl, Would Make A Nice Center Piece On A Miniature Dining Room Table. 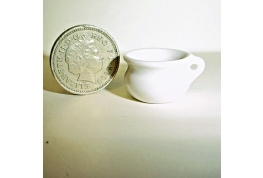 12th Scale China Salt Jar With A Transfer Print. Reduced To Clear. 1:12 Dollhouse China Limbed Doll, Please Note Colours And Patterns Of Clothing May Vary. Reduced to clear. 12th Scale Marmite Crisp Packet suitable for dolls house miniature shop of pub. 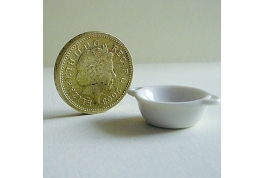 12th scale pair of china pudding basins In 2 different sizes. 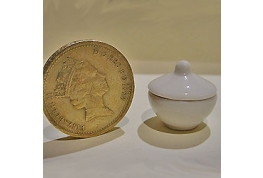 Ideal for filling with hand crafted puddings or dripping. 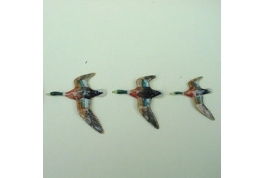 Delightful Set Of 12th Scale China Flying Ducks For The Wall. Just Like Hilda's In Coronation Street. 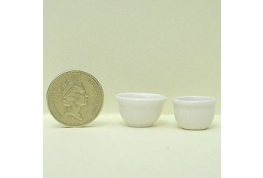 12th scale dolls house Food Packets ideal for miniature shop settings. 12th Scale Walkers Crisp Packet Cheese And Onion. Suitable For Miniature Pub Or Shop. 12th Scale Walkers Crisp Packet Salt And Vinegar. Suitable For Miniature Pub Or Shop. 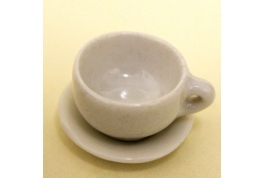 12th Scale White China Chamber pot. 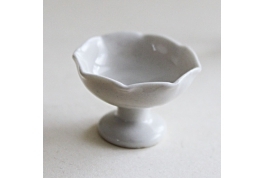 12th scale white china serving dish, ideal for filling with hand crafted foods. 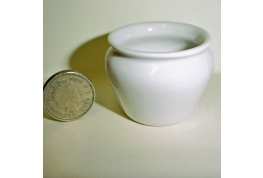 Good Quality 12th Scale White Pudding Bowl With Removable Lid. 1:12 Scale fan made from acetate and decorated with tiny gems. Reduced to clear.